Business owners and executives are always looking to save money. 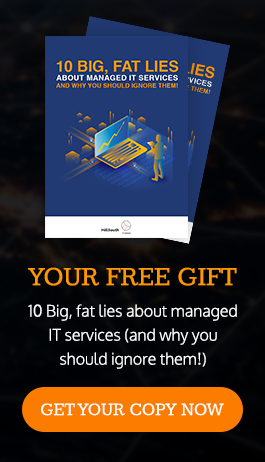 By using virtualization techniques it is possible to load all of your essential programs into a cloud environment, and then deliver them, on your employees workstations. Centralizing a worker’s digital environment in the cloud allows workers to access the data they need from all types of devices using a web browser including smartphones and tablets. This minimizes the cost of support. HillSouth iT Solutions has Hosted Desktop Solutions that do just that. Within our virtualized desktop platform, the business-class productivity applications your team depends on everyday, as well as all the files you need, are stored in data centers connected to our Network Operations Center (NOC). This allows us to completely manage every aspect of your company’s computing infrastructure to ensure fast, uninterrupted delivery, without the hassle and expense of keeping non-critical files on expensive Network Attached Storage (NAS) devices. Security isn’t an issue either. With the security systems and practices HillSouth iT Solutions have in place, you will never have to worry about the state of the data that we manage. Let HillSouth iT Solutions save your company money by managing your software and maintenance. This is how HillSouth iT Solutions’s Virtualized Desktop solution cuts costs. You will eliminate power and capital outlays for hardware as you use old workstations for thin clients. The largest cost savings will be found by not having to pay to maintain your physical workstations. Many companies are making a big push for mobility. With HillSouth iT Solutions’s Hosted Desktop and an Internet connection, access to work files and company-run applications are available anywhere. No matter where a member of your staff is, business can get done, from any device quickly and securely, through that device’s web browser. 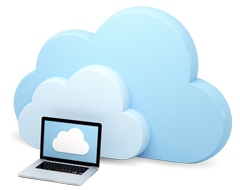 For more information about HillSouth iT Solutions’s Virtualized Desktop solution, or to learn more about cloud computing, call us today at (877) 292-9070, or simply take a moment to complete the form and our professional IT technicians will contact you.